Remarkably compact and elegantly styled, the VPL-VW760ES is beautifully easy to operate with a choice of picture modes for outstanding results with any content. With generous connections and interfaces, it also offers great flexibility for smooth integration in any AV entertainment set-up. While more native 4K material is becoming available, the VPL-VW760ES uses Reality Creation technology that upscales Full HD content for an incredible 4K experience. You’ll get the best from your current Blu-ray DiscTM library and video streaming services – with extraordinary clarity, colour and contrast. Don’t compromise with true 4K (4096 x 2160 pixel) resolution, the standard used in the digital cinema industry. You’ll find the same SXRD panel technology used in our professional projectors, producing 4K native pictures with no artificial pixel enhancement. The VPL-VW760ES automatically adjusts contrast for optimum picture quality by analysing dark and light areas in every scene. 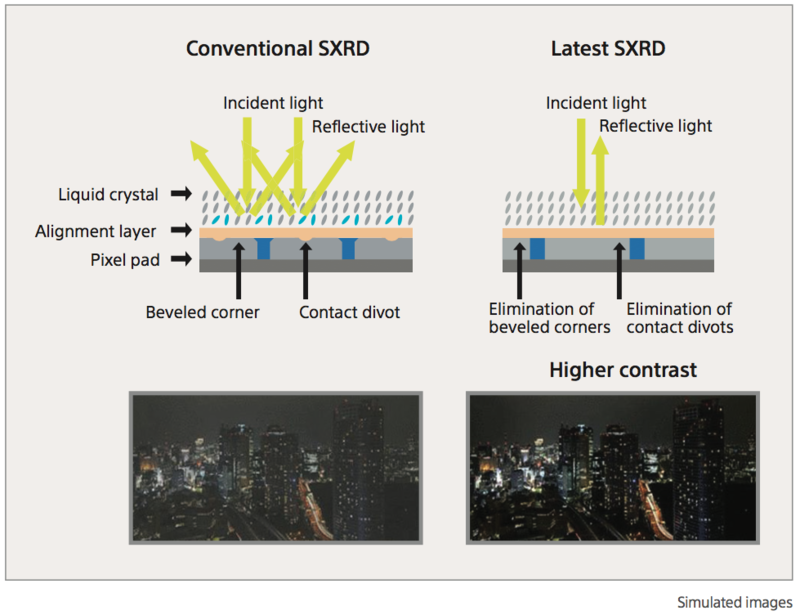 Advanced SXRD panel technology features a highly re ective liquid crystal layer and an alignment layer without bevelled corners or contact divots, enabling an ultra-fast response rate of just 2.5 milliseconds. Space is minimised between adjacent pixels for dot-free pictures with deep contrast. The VPL-VW760ES uses Motion ow technology to insert additional picture frames, in both Full HD and 4K, reducing blur in fast-paced action scenes. Combination mode creates additional dark frames to reduce blur for more natural motion. Great for movie purists, True Cinema mode maintains the original 24p frame rate. 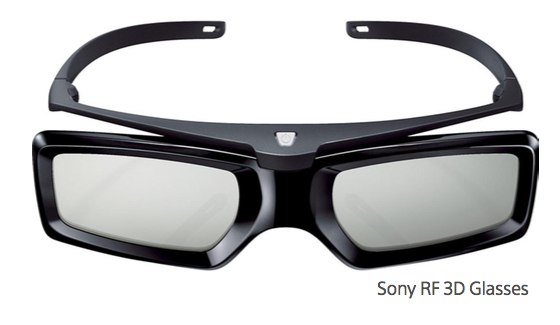 A built-in RF transmitter synchronises with any RF 3D glasses for wider coverage, greater stability, and there’s no need for an external transmitter. or DVD movie collection upscaled for a 4K experience. 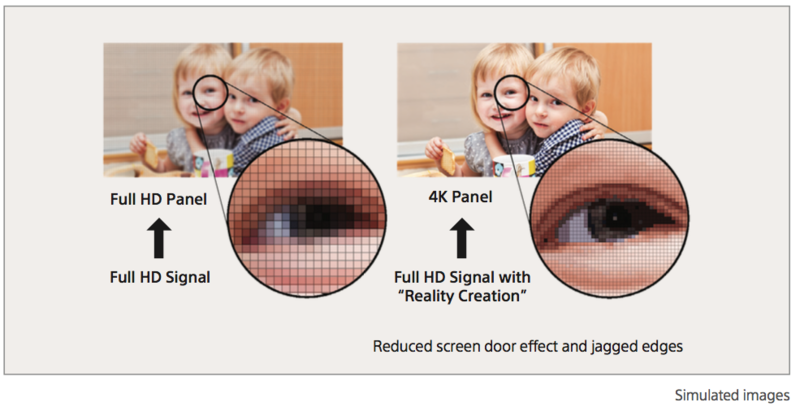 Reality Creation is a technology that radically enhances Full HD content, even upscaling 3D movies for 4K. 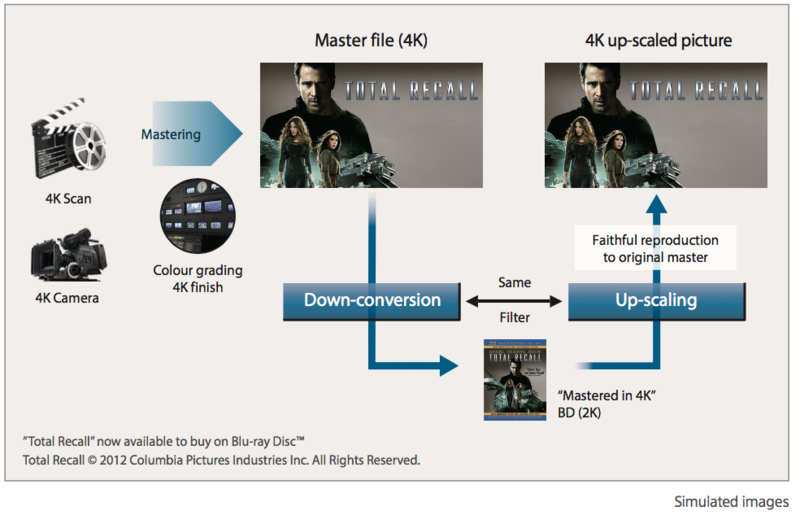 Enjoy ‘Mastered in 4K’ Blu-ray Discs upscaled from 2K to 4K pixel resolution, faithfully reproducing the detail and colour range of the original 4K master. The VPL-VW760ES is ready for premium 4K content, including TV, internet streamed productions and satellite broadcasts. With 4K resolution, you can sit closer to the screen without compromising depth and realism. 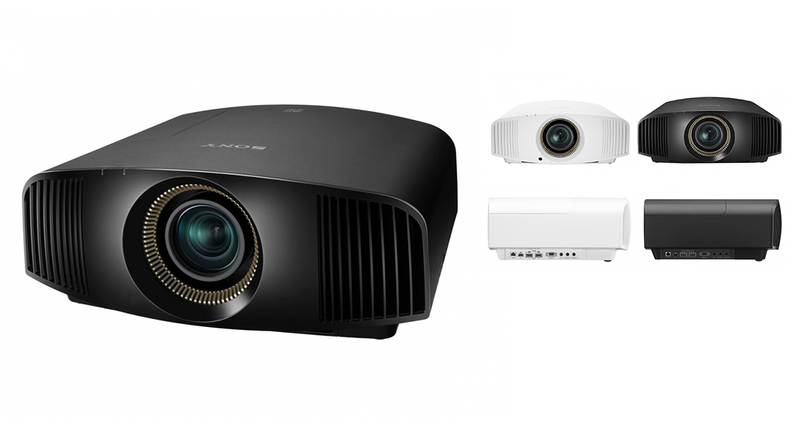 The best viewing position for 4K is at a distance of approximately 1.5 times the height of the projector screen (PH), compared to 3 times the height of the screen for Full HD. Ensures the red and blue elements in each pixel are precisely positioned against green. Adjustments can be made by as little as 0.1 pixels for optimum clarity. (NB we recommend adjustments are made when the projector is warm).